An Amber Alert has been issued for a 7-year-old girl who is considered to be in danger after her mother bound and gagged the child and her two sisters, stabbing the eldest multiple times, and then set their house on fire, police said. Taheerah Ahmad, 39, is accused of binding and gagging her three daughters — ages 7, 9 and 11 — between 6:30 p.m. and 7:30 p.m. Monday at their residence in the 500 block of Mohawk Boulevard, Tulsa Police Officer Jeanne MacKenzie said. The 7-year-old helped the 9-year-old escape when Ahmad began stabbing the eldest child, MacKenzie said. The 11-year-old “was stabbed so many times that officers and EMSA on scene couldn’t even count them,” MacKenzie said. According to the Tulsa World, the 9-year-old fled to a nearby residence, where some of her extended family live, for help, and police were dispatched around 7:30 p.m. to Ahmad’s home, where officers found the stabbed child and discovered that the kitchen was on fire. The 11-year-old was in critical condition when she was taken by ambulance to a local hospital, police said. 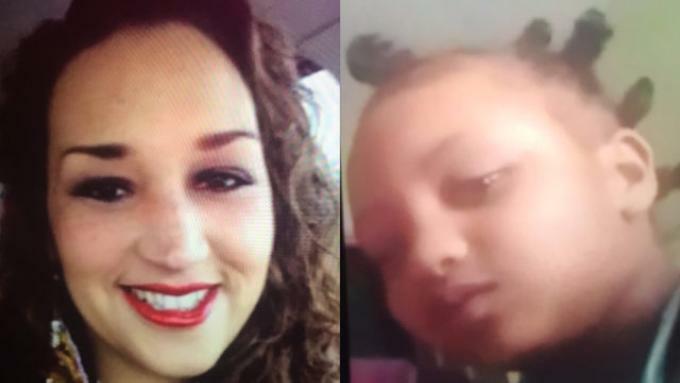 Police believe that Ahmad took the 7-year-old child, Hafsa Hayle — who also goes by Hafsa Hussein — with her and may be driving a 2005 or 2006 black Lexus RX300 SUV with paper tags, a 2011 Ford Escape with Oklahoma tag 778MNX, or a dark-blue sedan.